GoPro has announced a new model of its Hero lineup of action cameras. It looks similar to other devices in the lineup, and works with all of the accessories made to fit those cameras. The new device is simply called ‘Hero’, and is not suffixed with any number to set it apart from its stablemates. It, however, comes with model number CHDHB-501-RW. The GoPro Hero doesn’t have all of the advanced features of the Hero6 and the Hero5, but its USP is its $199 (around Rs. 13,000) price-tag that makes it more affordable than either of the two aforementioned devices, which come with price-tags of $399 and $299 respectively. Interesting, GoPro is launching the device globally at one go, including in India. However, unfortunately for Indian buyers, the company has priced it significantly higher in the country, where it will cost Rs. 18,990. The device is already up for pre-order on Flipkart, and will go on sale April 2 onwards exclusive on the e-commerce site. 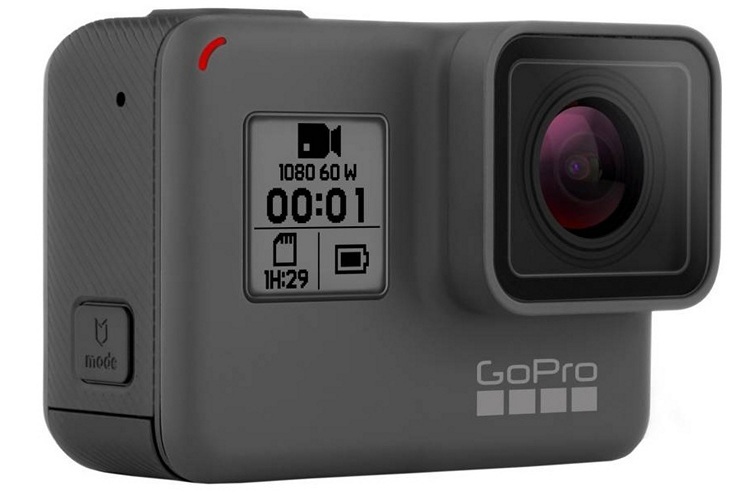 The GoPro HERO sports a 10-megapixel camera with a 1/2.3-inch CMOS sensor that’s capable of shooting 1080p videos at 60fps and 1440p videos at 30fps, but cannot shoot either 4K videos or slow-motion videos unlike its more expensive counterparts. It can, however, record time-lapse videos at 0.5-second intervals. It also lacks OIS (optical image stabilization), but offers EIS (electronic image stabilization) instead. The device features a 4.95cm display panel with a resolution of 320×480 pixels. It has an ISO range of 100 – 1600, and comes with 4GB of built-in storage that’s expandable via microSD card (up to 128GB). It measures 32x62x44.5mm, and weighs 117 grams.